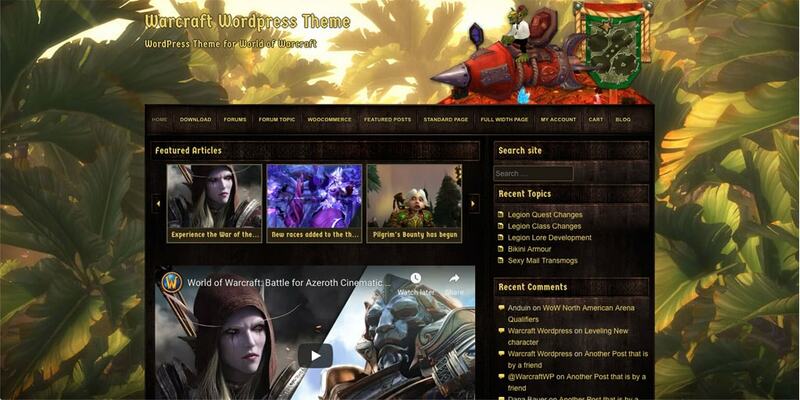 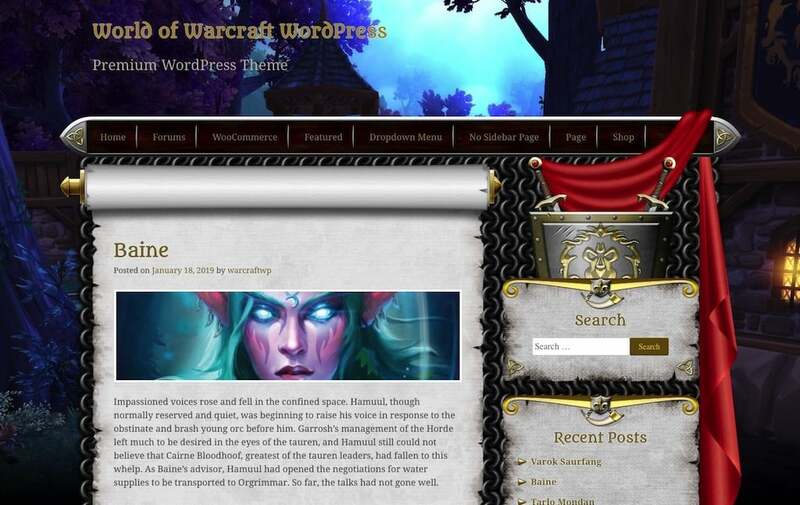 World of Warcraft Wordpress Theme - Premium Template! 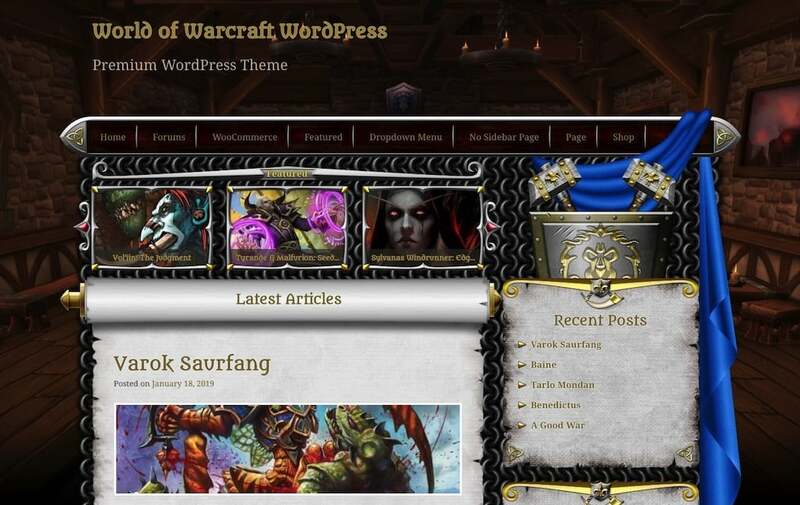 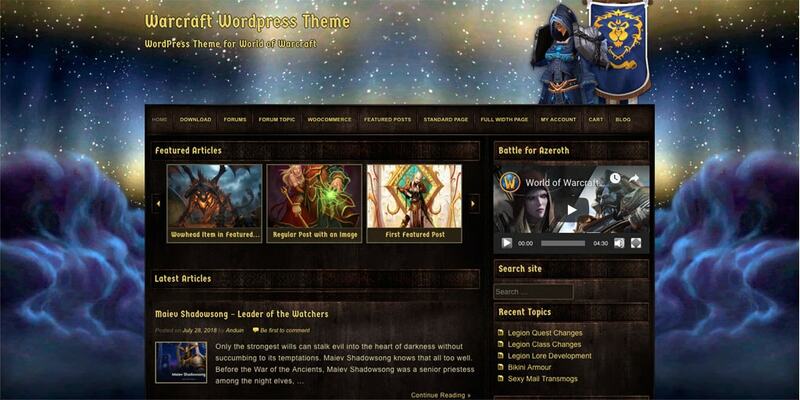 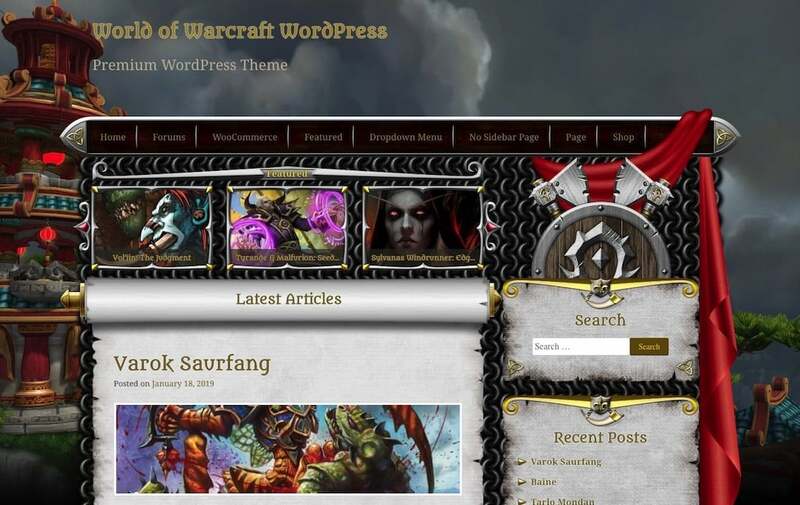 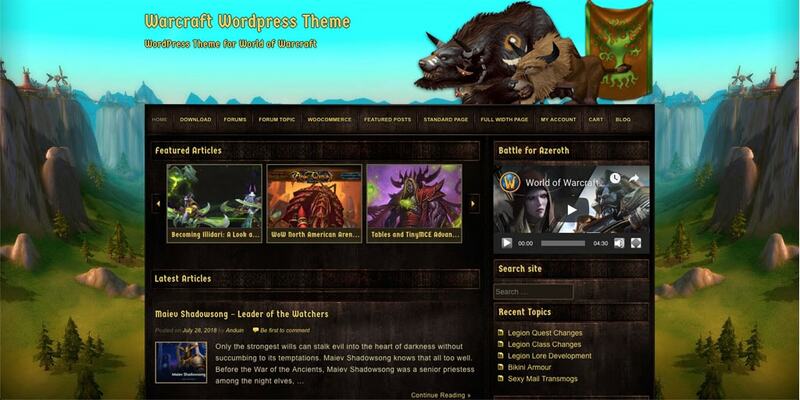 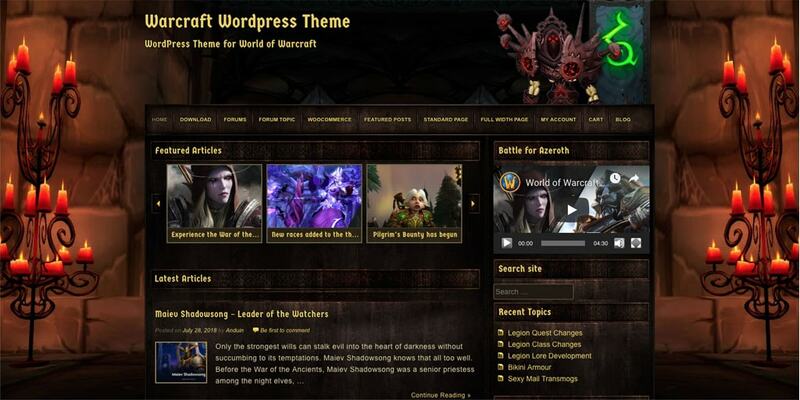 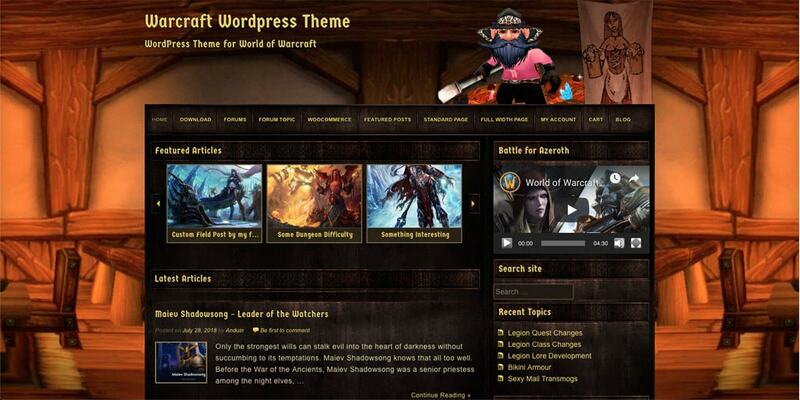 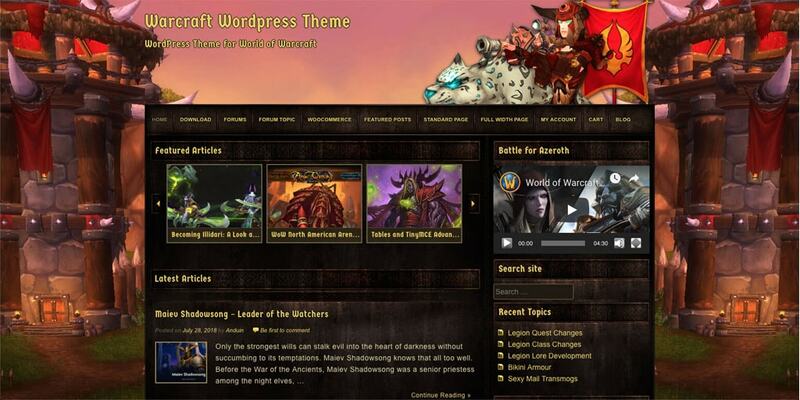 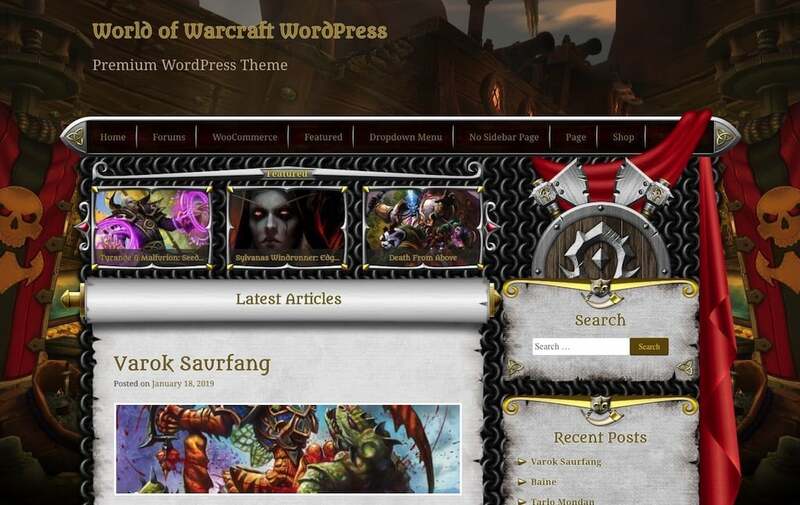 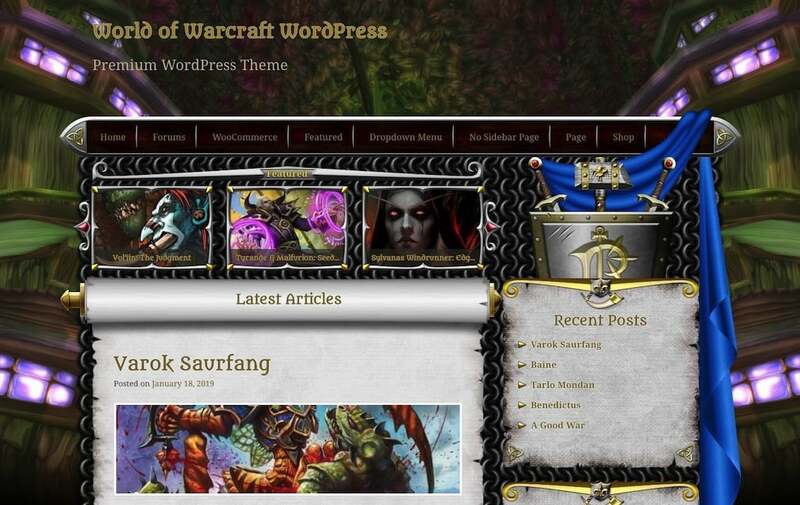 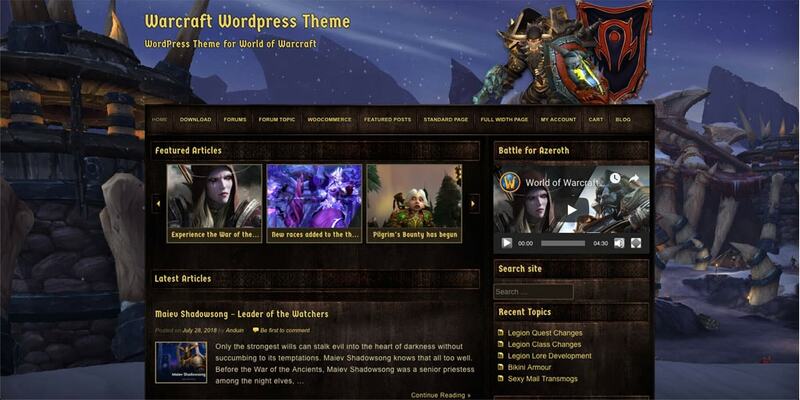 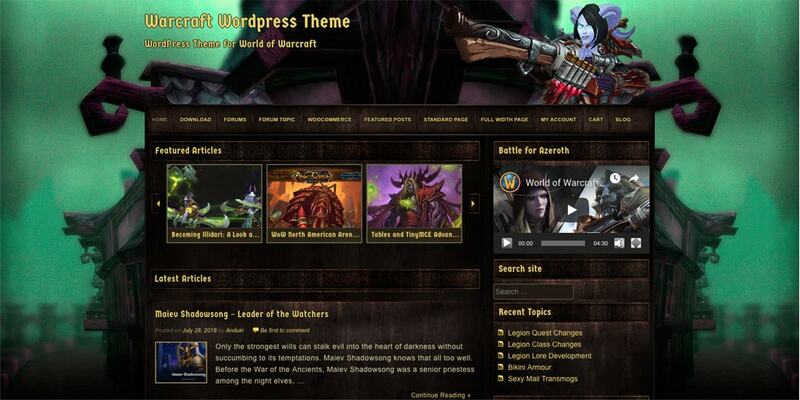 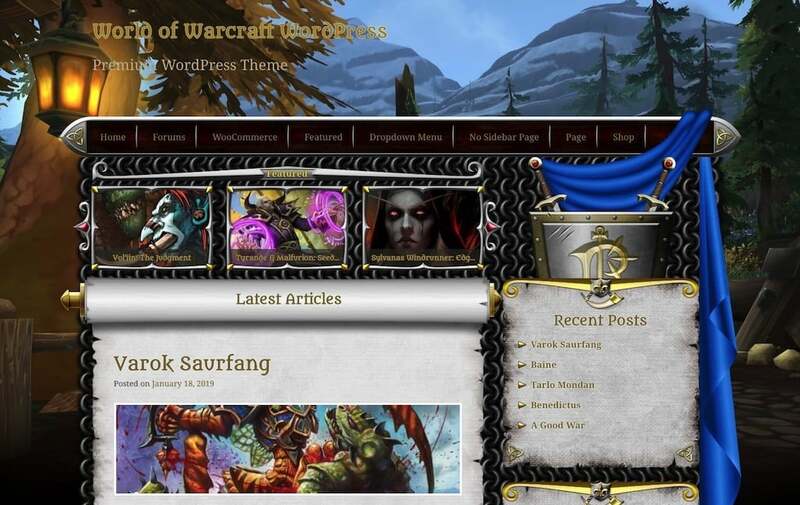 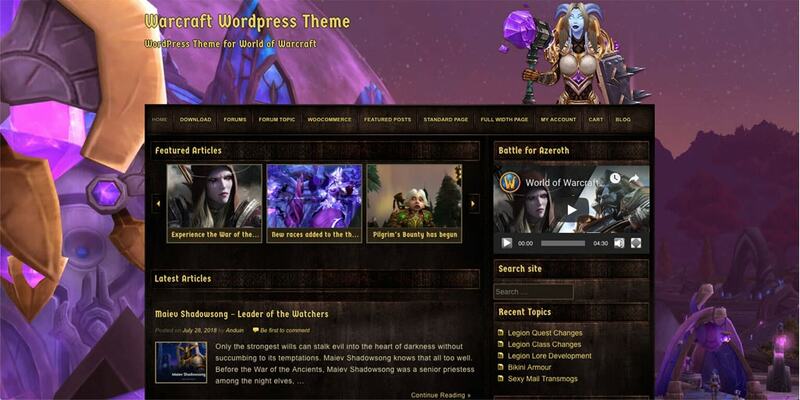 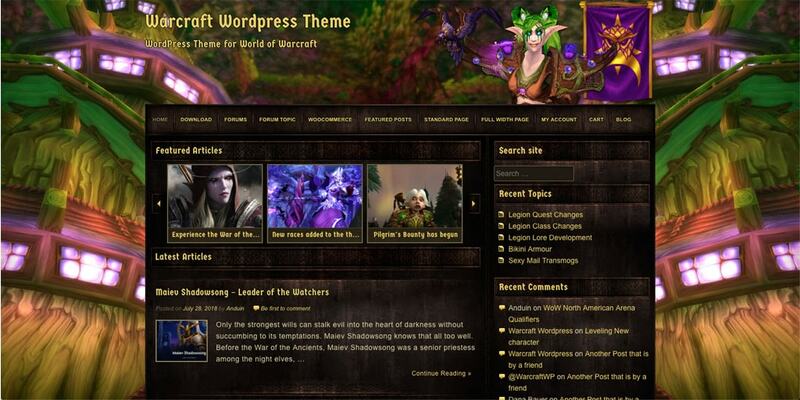 World Of Warcraft WordPress theme gives you a stylish and a functional platform. 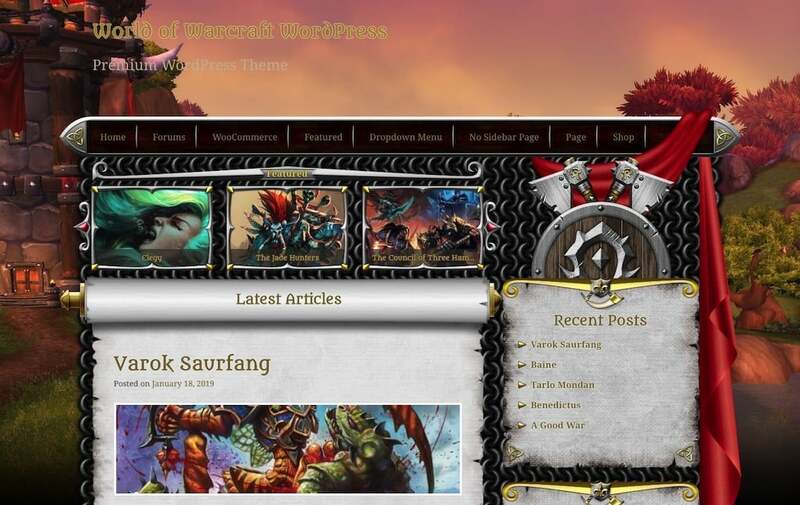 You can write articles and engage your audience with commentary, create your community of the game you love with WordPress and bbPress forums. 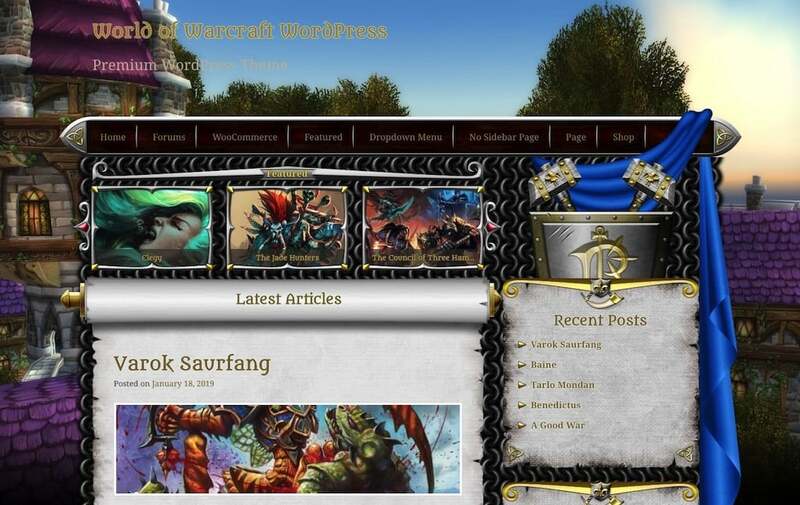 The theme has been specifically designed for WoW gamer community and bloggers that want to share their gaming experience. 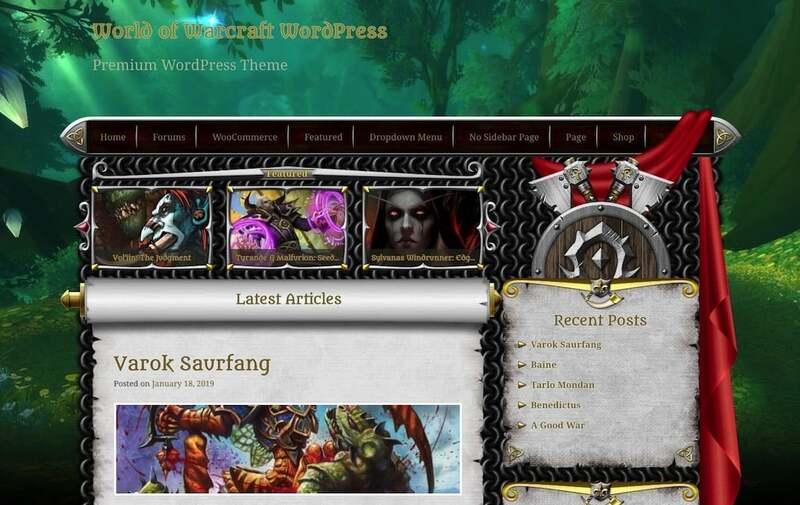 Pragmatic design of the front page and the rest of the theme prioritizes usability, speed and legibility. 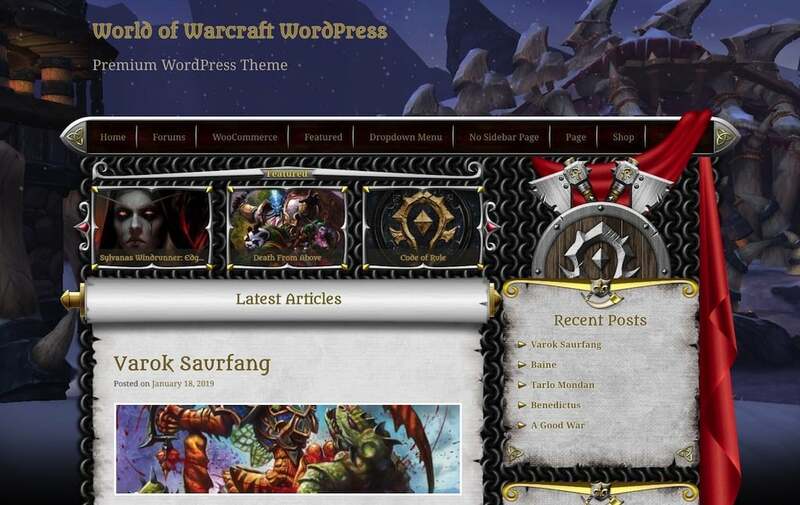 Therefore with this World of Warcraft WordPress theme you can focus on content without sacrificing style or function. 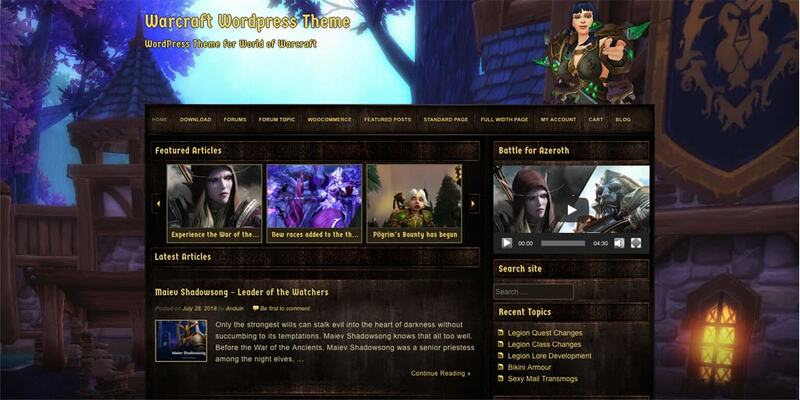 Theme includes dozens of montaged backgrounds and character persona headers.